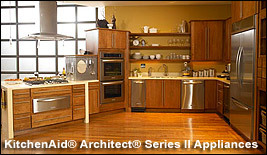 Kitchen Products for Your New Home! 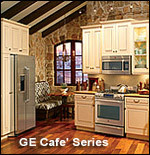 You don't want to begin your journey looking for kitchen appliances unprepared. Because an appliance showroom is packed with products, it can be an overwhelming experience if you don't know exactly what you want. It wasn't long ago when homeowners had two choices when it came to selecting a new kitchen sink: cast iron or stainless steel. There were fewer choices of colors or shapes and no options for customized sink accessories. Today, homeowners have a multitude of sink choices to help personalize their kitchen.